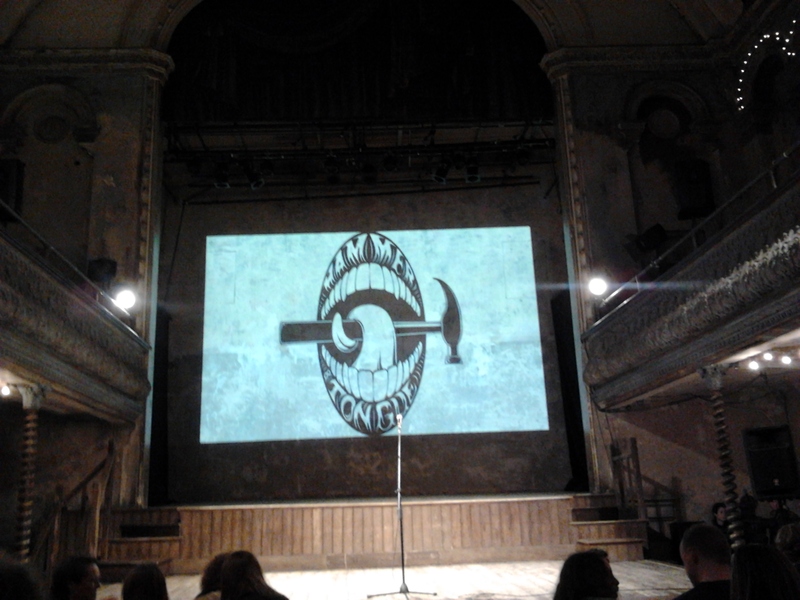 Part two of the Hammer and Tongue Final: this review concentrates on the Individual slam at the beautiful Wilton’s Music Hall. 18 Poets that had qualified through the Hammer and Tongue Regional Slams were now pitted against each other. While we saw many during the Team Battle(!) earlier that day, with mostly different poems under their belt and a packed, enthusiastic audience made this a fantastic evening. (Also, Cat Brogan fulfilled her promise to do cartwheels on stage whenever anyone got a 10.0, which was surprisingly under-exploited). Scoring in slams are often tricky to explain. You have to factor in individual biases, take into account direct comparison between the preceding poet, bumper scoring to offset potential time penalties, and, of course, score creep (more likely for comic poems). That said, it was refreshing to have such disparate scores, with judges showing a range of tastes for different kinds of poems. Rounds: Three heats of six poets, two each heat qualified to a semi final, then three went on to the final. Sam Berkson & Steve Larkin hosted the heats. Weirdly, there was a large break between the first two heats and the third, but we resumed with new judges. Who treated us with another rendition of his altercation with the NYPD.